This Wooden Multi Shelf Wall Unit can help you organize your items with ease. 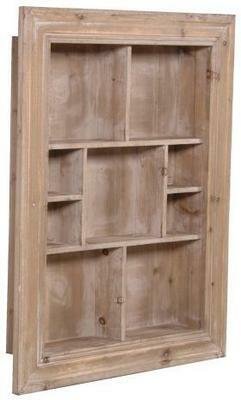 This large wooden multi shelf is perfect for any bedroom, kitchen or even your living space. It would also work well inside your living room. 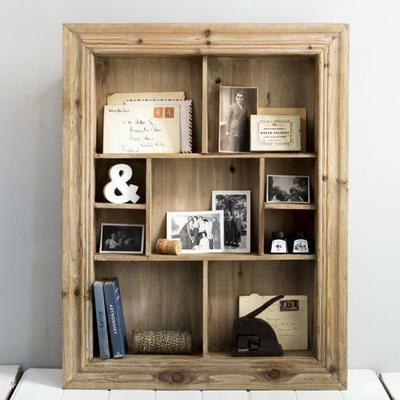 Made entirely from wood, it comes with wall fixings to allow you to mount it on your wall. Each box comes with several compartments, allowing you place various little items inside. The wood is decorated in a subtle white wash effect, giving it a lovely rustic effect. It's also been treated with a liming wax treatment for protection. Add special mementos, small sketchbooks and various little knick knacks to showcase your personality and taste.